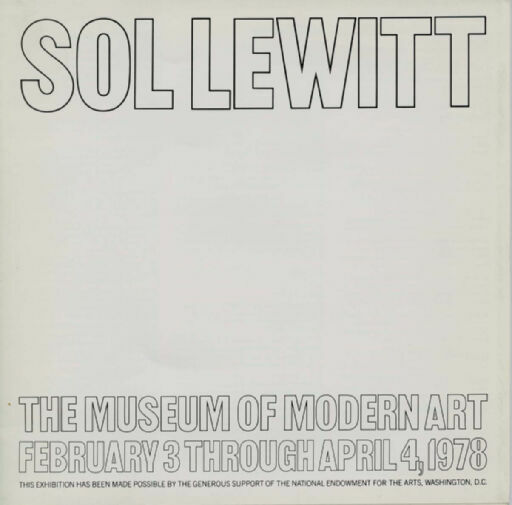 Digital Surrogates from the Krannert Museum Exhibition Catalogs: Sol LeWitt, contains a digitized catalog concerning the exhibition of the work by Sol LeWitt at the Krannert Art Museum from February 3 through April 4, 1978. The digitized catalogue includes biographical notes about LeWitt, and an invitation to a preview event and conversation with the artist. The Krannert Museum Exhibition Catalogs (Digital Surrogates), 1978 are managed by the University of Illinois Archives and do not feature precise descriptive information for each item. Discover their contents by browsing the folders and files. For more information, contact an archivist at illiarch@illinois.edu.